Hamilton EMS provides top-quality ambulance care. 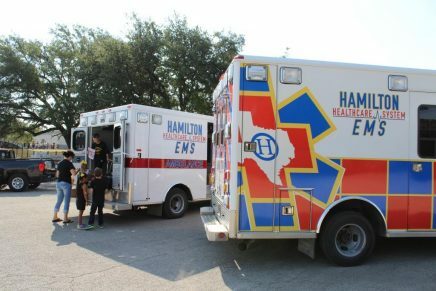 Hamilton EMS covers hundreds of square miles and serves many west-central Texas counties. Staffed by highly skilled and certified EMT and paramedic staff, you can count on an Hamilton EMS ground ambulance to begin lifesaving treatment upon arrival. When seconds count, you can count on us. Stationed in Hamilton, Goldthwaite, and Hico, our ambulance fleet can provide a new level of rapid transport with advanced, medical care. It’s all part of our commitment to saving lives.